Baseball Factory travels to the College World Series in Omaha, NE to provide middle school athletes with a week of intense training, competitive game play, and unforgettable baseball experiences. This event is invitation-only. You will have the opportunity to attend the College World Series at TD AMERITRADE Park in Omaha, NE and see the stars of the future performing on the greatest college stage in front of thousands of fans. This is the premier event for all of college baseball and you will be able to watch it in person. Baseball Factory players will attend ONE 2019 Men’s College World Series game. *Game time and date to be announced closer to the event. Daily baseball training through skill-specific drills. Players get numerous repetitions while receiving hands-on instruction from the Baseball Factory staff. Training takes place at Iowa Western Community College, one of the top junior college programs in the nation. Iowa Western CC, is located in Council Bluffs, IA and it is approximately 10 miles from TD AMERITRADE Park in Omaha, NE. Nolan Fuller: Nolan is the Senior Director of Baseball Player Development Events with Baseball Factory. He has been working full-time in the Baseball Operations department since 2012, coordinating and running events across the country. Nolan is a graduate of the University of South Carolina Beaufort, where he played and coached under the tutelage of Professional Coach, Rick Sofield. In 2012, Fuller helped the Sand Sharks make their first NAIA World Series appearance – where they finished ranked 7th in the Nation. In his four years at USCB, the Sand Sharks compiled a record of 142-75. 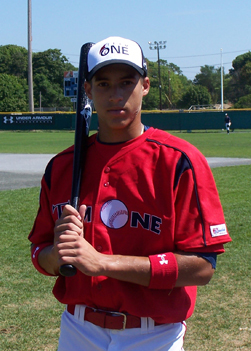 Jarod Jamerson: Jarod participated in the 2008 Baseball Factory Pre-Season All American Tournament before going on to play his college ball at New Mexico Highlands College where he was a standout shortstop. He was invited to extended spring training with the Los Angeles Dodgers. He played in the Frontier and Freedom Indy Leagues. Mike Landis: Mike currently oversees the FDI Program at the Factory as the Director of Player Development. After playing collegiately at Montgomery College where he played in two JUCO World Series, Landis joined the Factory in 2012 and has helped to run events across the country such as Pirate City, Vero Beach, Cape Cod, as well as Little League and National Tryout events. He was the Assistant Head Coach and Recruiting Director at Hood College in Frederick, MD from 2014 to 2016 and the Head Coach at Seneca Valley High School in Maryland in 2014. Scott Ballinger: Scott was named the head baseball coach at Nebraska Wesleyan University at the end of the 2014 season. Ballinger spent three seasons as an assistant coach for the NWU program. His primary coaching responsibilities as an asst. were working with the outfielders and assisting with the pitching staff. He has provided more than 10 years of coaching service in the Lincoln community, including Babe Ruth Baseball and American Legion Baseball. Ballinger played collegiately for Des Moines Area Community College and Wayne State College. John Penn: John serves as an assistant coach for the IWCC Reivers. He works with the catchers and hitters, and coaches 3rd base on game days. John was a relief pitcher at Wabash College, and was a member of the 2011 NCAC Championship Team. Prior to IWCC, he coached for 2 years at Bluffton University – a division III program in Bluffton, OH. Want to join us for Select Training at the College World Series? Contact us now for more information.